The APM tool relies on the technical object structure / asset hierarchy from the EAM, and this is often geared toward maintenance execution or accounting purposes rather than reliability improvement. Therefore, at times there is a need to update the technical object structure / asset hierarchy as a part of the data build process. Organisations often consider the EAM as the only system of record containing master data, but with the addition of an APM system there is new master data that resides exclusively in APM, such as failure modes/effects, risk, cost, etc. Subsequently, there is a need to extend the definition of master data to include APM data. Failure codes are often poorly utilised in the EAM, whereas they can really help with preventative maintenance optimisation (PMO) in the APM tool. Therefore, when developing failure modes/effects in the APM tool there is an opportunity to build out a more realistic set of codes in the EAM. If the APM system is also used for reliability analytics, then getting a full view costs, component lives, etc., can be problematic if maintenance work orders are not being used appropriately, i.e. labour hours not captured, use of blanket work orders, etc. If Bill of Materials (BOMs) are not being used in the organisation, then linking spare parts to maintenance tasks could be a challenge. There is also non EAM data required to support good analytics, for example, delay accounting data – and this brings a whole new world of hurt – assigning delays to equipment is often a challenge, as is making sure that data is appropriately aggregated to support analysis is important. Then there is the challenge of non-digital data. For example, hard copy inspection sheets and reports need to be decomposed to enable inspection task to be aligned with failure modes, PDF documents, including drawings, often need to be created, stored, and linked at the end of the project, etc. The APM tools is also often used for reliability analytics, requiring collection of asset information from across the business for analysis. 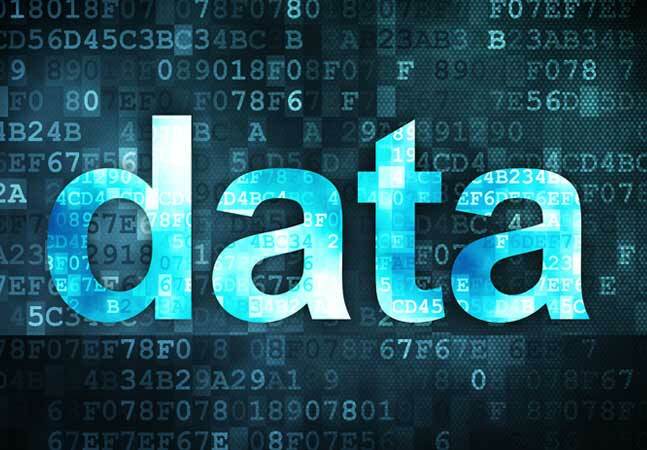 Ideally, the data management tools that are being used in the organisation should allow the collection of data from a variety of data sources into one well defined and standardised database, which then supports a comprehensive view of asset related information to support analysis. This typically begins by begin by extracting the technical object structure / asset hierarchy from a master database, usually the EAM, and then collecting and mapping other data sources, either digital or non-digital, to that technical data object structure / asset hierarchy using standard data elements. Standardisation of data elements enables the exchange of information between systems within the organisation, as well as external parties such as manufacturers and suppliers. maintenance data, such as maintenance action, resources used, maintenance consequence, and down time. Confidence in the collected data, and hence any analysis, is strongly dependent on the quality of the data collected. relevance to the data user’s need. Although many plant operators have improved the reliability of their operating facilities, lost production and poor equipment reliability still represent a high industrial cost. Even though most failure events are not catastrophic, increased clarity as to the causes of failure events is a key to prioritizing and implementing maintenance actions. This results in sustainable improvements in reliability, leading to improved profitability and safety.Benefits of reliability data analysis are wide-ranging, including the opportunity to optimise the timing and scheduling of equipment inspections, service, and overhauls, the content of maintenance procedures, as well as the life cycle costing and upgrade program in operating facilities. Other benefits resulting from the collection and analysis of data include improvements in decision-making, reductions in catastrophic failures, reduced environmental impacts, more effective benchmarking and trending of performance, and increased process unit availability.Improvement of equipment reliability is dependent on experiences from real-life usage. Therefore, collection, analysis, and feedback of data to equipment designers and manufacturers are paramount. Assetivity has extensive experience in data integration during EAM and APM implementation. We have addressed these challenges during system specification, Reliability Centred Maintenance (RCM) and PMO studies which resulted in recommendations, and of course during deployment and use of APM systems. If you are challenged by the quality of your data, concerned about your readiness for an APM solution, or data integration between your EAM and APM systems, please do not hesitate to contact Assetivity to discuss.